Something from my bar whenever I feel like it episode CXXXIVsteemCreated with Sketch. 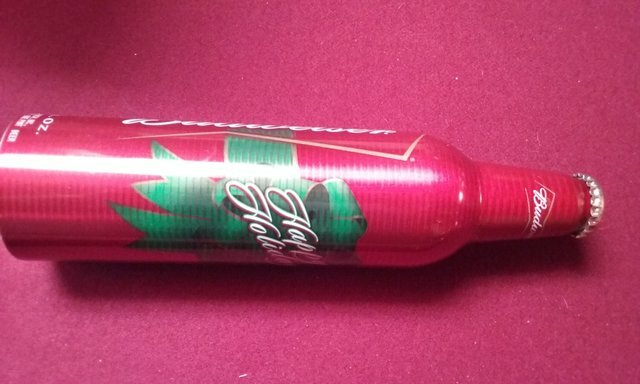 I'm going to put off the rest of the Star Wars cans until after the holidays. Instead I'm going with something a bit more festive. 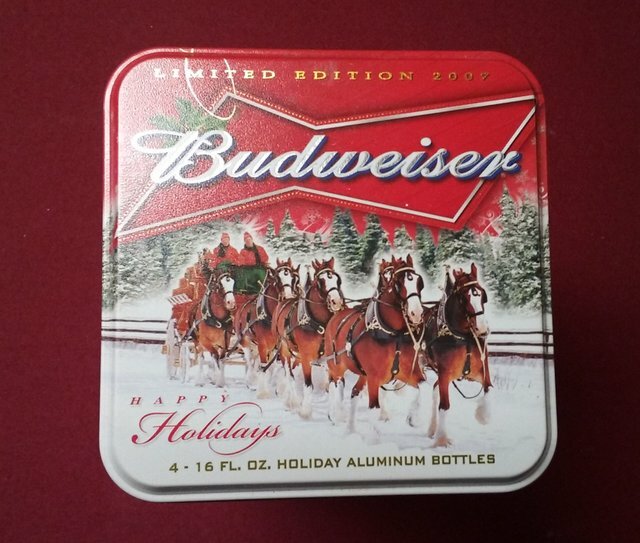 This one is a limited edition Budweiser holiday tin. 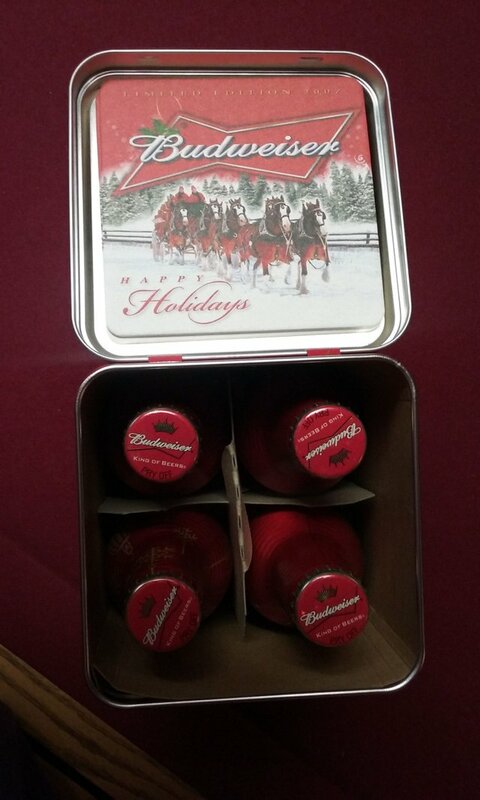 On the outside are the famous Budweiser Clydesdale horses. 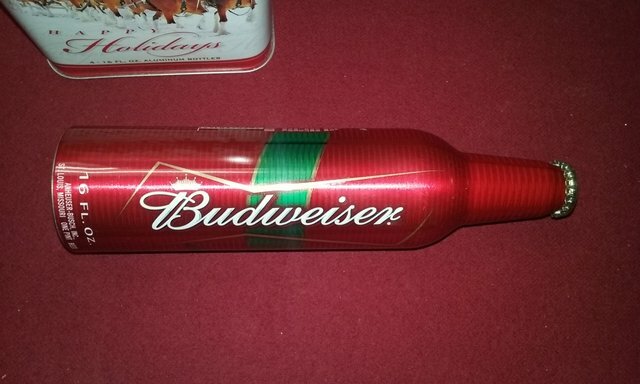 Inside are 4 holiday aluminum Bud bottles and 2 coasters. 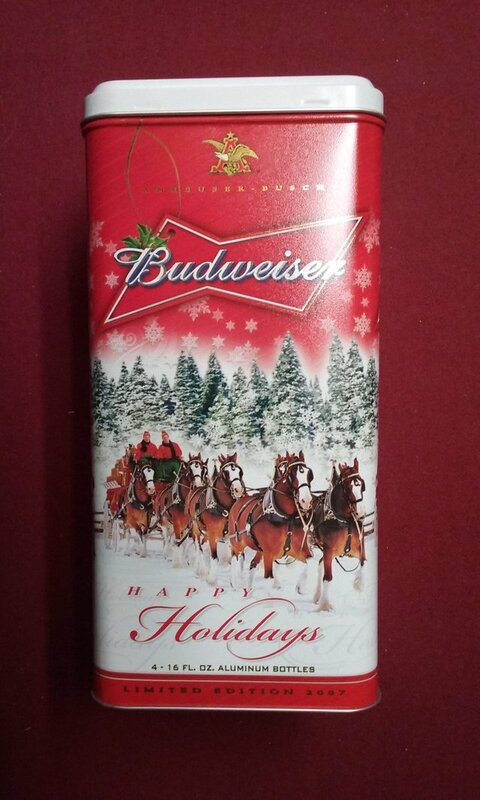 I stopped at the local convenience store on Christmas (might have been Christmas eve)back in 2007 to fill up my truck and they had this sitting on the counter. Had to have it for my collection.